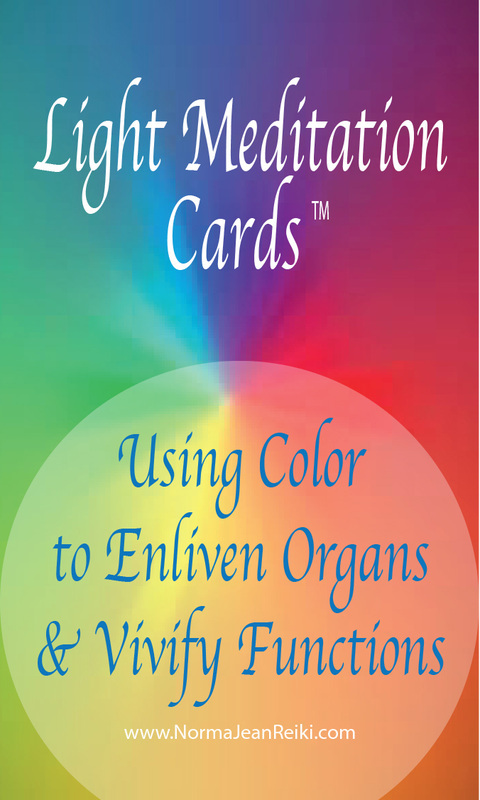 Bring the exact color to enhance and re-vivify the organs of the body and their vital functions. Following the 'families of Color' according to German philospher Goethe - which are THE colors that actually fuel each organ to be able to do the exact function they are designed for - each organ is strengthened. Along with the physical function of each organ being fortified, desired attributes are produced by filling the organ of choice with the appropriate color that matches its resonant field and makes that organ hum. For instance, meditating on filling the KIDNEYS with a beautiful SKY BLUE - brings more CLARITY to you. "I want a deck of those, as soon as I can get them." ~ Hope Fay, N.D.
"You've really got something here!" ~ Annastasia Kovscek, M.D.